So I planned to start this post as a “Marvelous Monday” but life got ahead of me and I was left with a Terrific Tuesday instead 😉 Moreover, it’s a pretty decent recap of our recent boating trip. 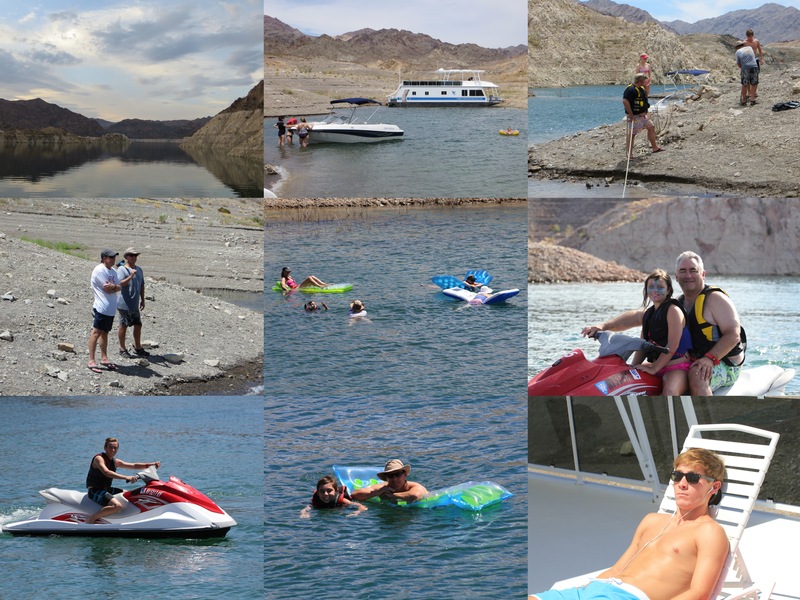 This past weekend my family and I made our way out of beautiful California to the hot and dry climate of Arizona and Nevada. The goal? 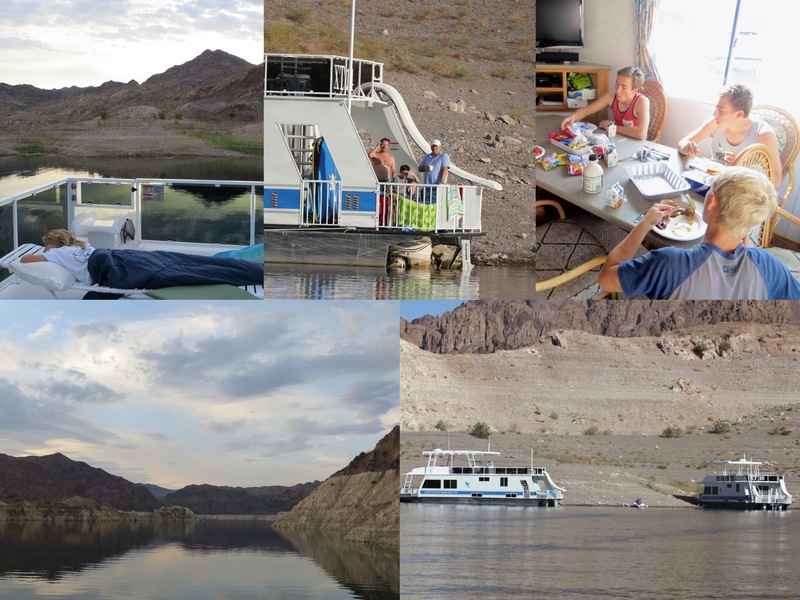 A family house-boating trip (immediate + extended) to Lake Mead. 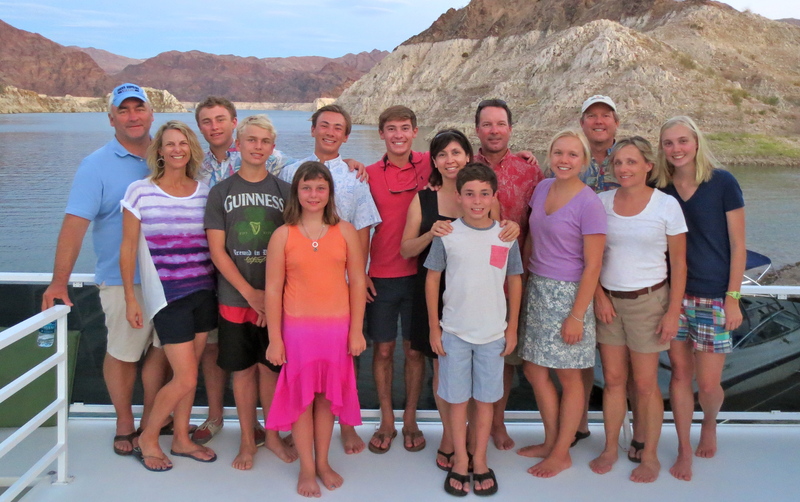 Now, the last time we all went as a family, it was about 5+ years ago to Lake Powell and a majority of the members were aged 11 and under. 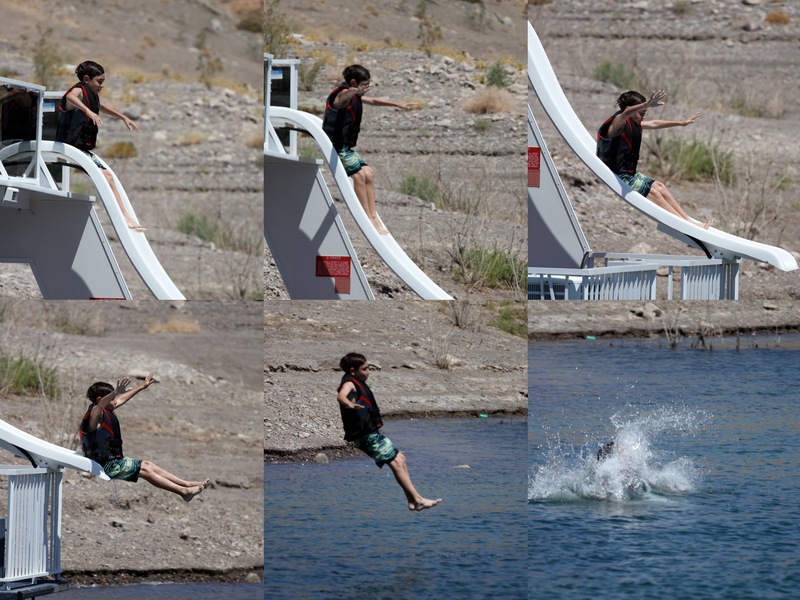 Fast forward three years and the Lake Powell trip was a week from hell. I mentioned a few days back that in the first day alone, we encountered a broken houseboat, broken ski boat, and lost two jet skis and four girls. Storms, broken engines, losing power, etc. You name it and it happened. After that, I wasn’t sure when we would find ourselves on the lake again. But, this was the year. We had all grown up (at least aged) and hopefully would be more experienced. Our car towed the ski boat and headed out on Thursday morning around 7am. Five and a half hours later, we were on the dock, setting up for the weekend ahead. The heat was a bit unbearable for 1 in the afternoon (air 106/80 with water ~84F), but later in the evening it started to settle down a bit (emphasis on “a bit”). My sister, cousin, and I set out on the ski boat to find a spot to camp. Every morning we were up around 6:30. Being young adults and teenagers at heart, my sister and I weren’t too keen on this; it was after all our vacation too. But, the draw of the glassy water was a much stronger pull and we knew that the rest of the day was left for relaxing. I swear, that lake had the NICEST water I’ve ever seen in my life. I’ve never had the opportunity to ski on such clear and crisp water and that’s a fact. Usually my sister, dad, and I were up for the first round and would swing back to the bay to pick up my cousins and aunt and uncle. 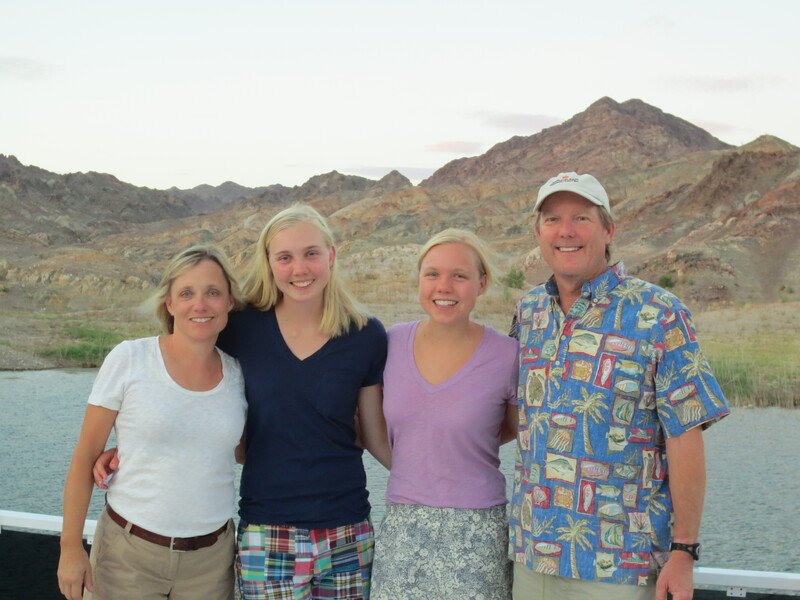 As you can see in the bottom left corner (above) my dad is quite the show-off. 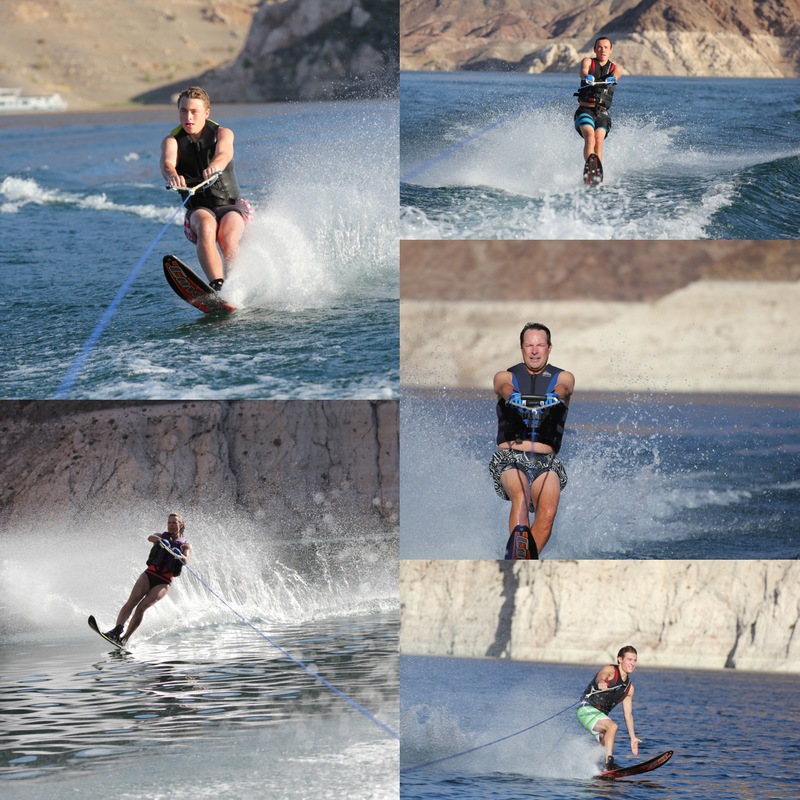 I don’t mind jumping the wake but taking my foot out? I’ve done it once and would never forgive myself is something went wrong. I would often skip out on the second round of skiing and would instead grab a cup of coffee and aqua-jog. When everyone was back or even awake, we would sit down to a group breakfast. More on the food tomorrow, when it will perfectly fit in with my WIAW (in this case, What I Ate Weekend). As you can see, no one here wake-boards, although I bet the boys are yearning to get one because it’s the “cool” thing to do. The rest of the day was spent lounging in the water, going off the water slide reading, sleeping, and snacking. My cousin Dan dominated the slide like there was no tomorrow. I had so much fun listening to him because a child normally so quiet at home, was quite the chatterbox. Cocktails all day? Sure, why not. Ok, we really did save them for 5 o’clock, but there were some stressful times over the weekend that required a round of adult beverages 😉 One being the time when the wind was a little too forceful and had us five adult women taking charge of a drift away houseboat and non-functioning ski boat, both of which had pulled away from their anchors into the bay. 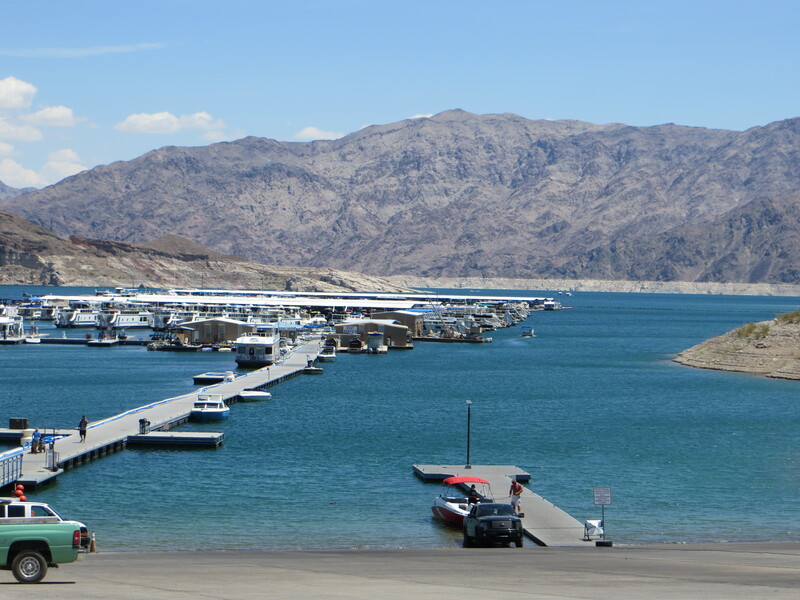 It was hilarious to see my dad’s reaction when he returned from the marina, especially when he learned that we had just barely saved Fiona (what we call the Four Winns) from getting pummeled from the massive houseboat. Oh the boat. As you can see above, we did run into some trouble. 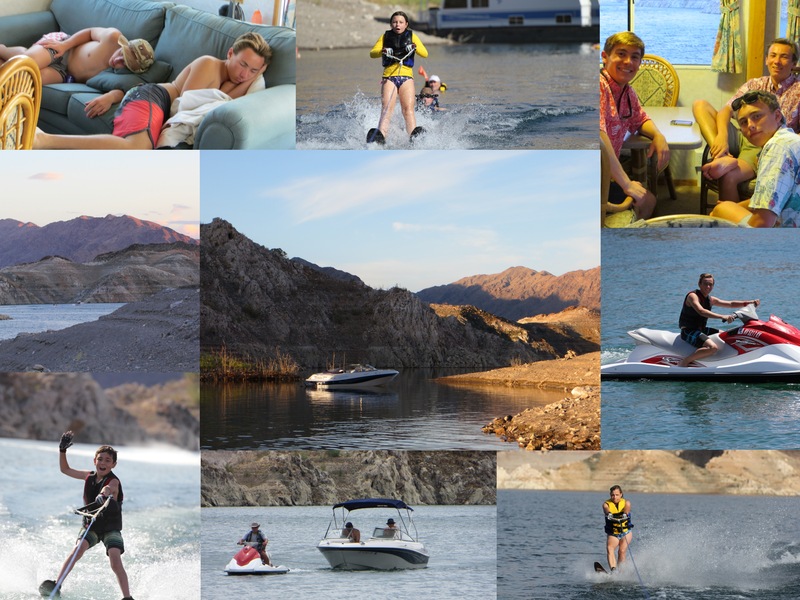 Besides denting or messing up one houseboat motor, our ski boat stopped working and we had to resort to renting one. This ultimately wasn’t that much of an issue, but I felt bad for my dad because the Four Winns was like his little toy and we all know what happens when someone’s toy breaks. However, the sadness is short-lived and the annoyance sets in when you realize the boat has never functioned fully for any of our boating trips. Right before cocktail hour, we would give one last chance to those wanting to ski. This usually meant those who hadn’t been up for the early morning ski trip or were just learning to ski. I was very proud of both my young cousins who got up on their own. Dan was a tad bit annoyed on day 2 when he couldn’t make it, but ecstatic on day 3 when all things seemed to work out. It was quite a luxury to have two houseboats with air conditioning. Back in the day my dad’s family would just set up tents on the beach. There was NO escape from the heat. I’ll be the first one to say I’m thankful for technology and mechanical advancement. Even though we had two houseboats with four rooms each, a handful of us choose to sleep on the top deck. It is a once in a lifetime experience to be out there in the open with relatively few bugs and a sky full of stars. I lacked the true knowledge to know which constellation was which, but I was satisfied to just gaze up and see the thousands, if not millions of stars up there. Saturday night was probably the worst in terms of heat and wind. I wanted to make it one last night on the top fo the boat before I returned to smoggy LA reality. I also hadn’t been lucky enough to see any shooting stars. That night alone I caught 10 shooting stars, so despite the heat, it was worth it. 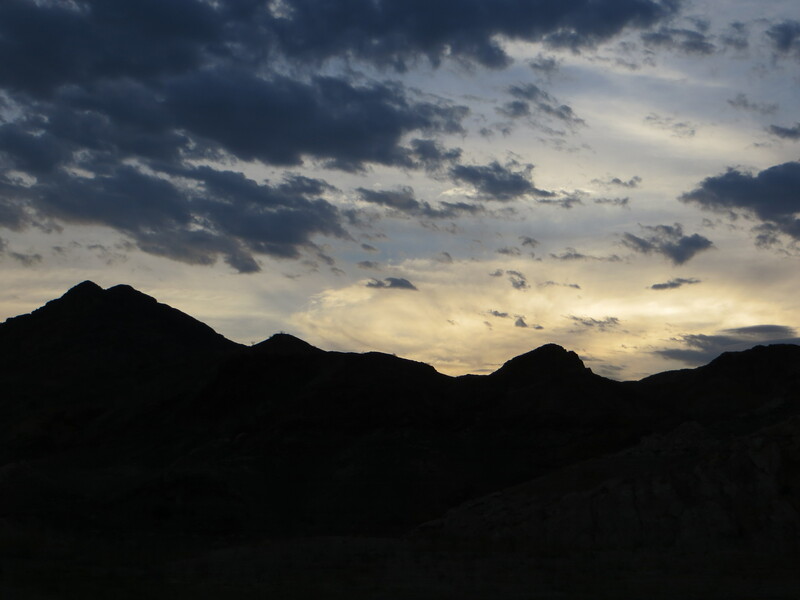 – Bit of a trek through the desert, but then again, what good road trip doesn’t? Even though I’ve been off of the lake for almost 48 hours, I can still feel the rock of the boat and hear the slight breeze of the wind. 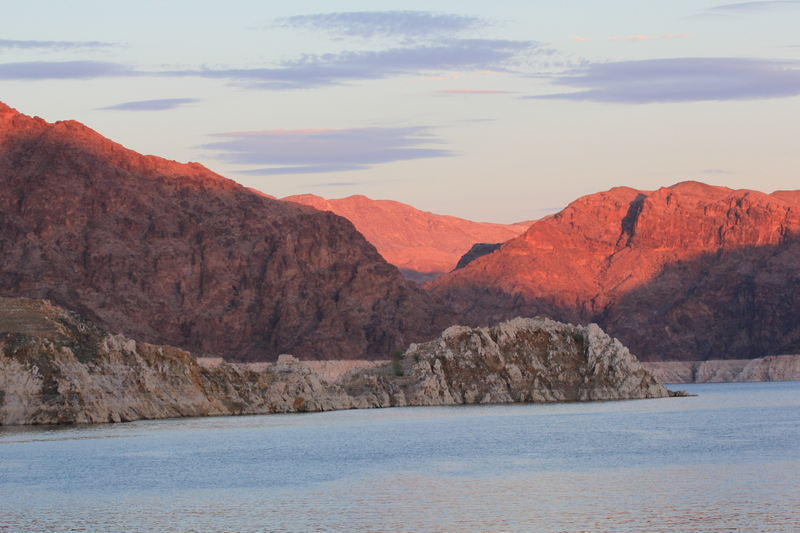 Until we meet again Lake Mead. 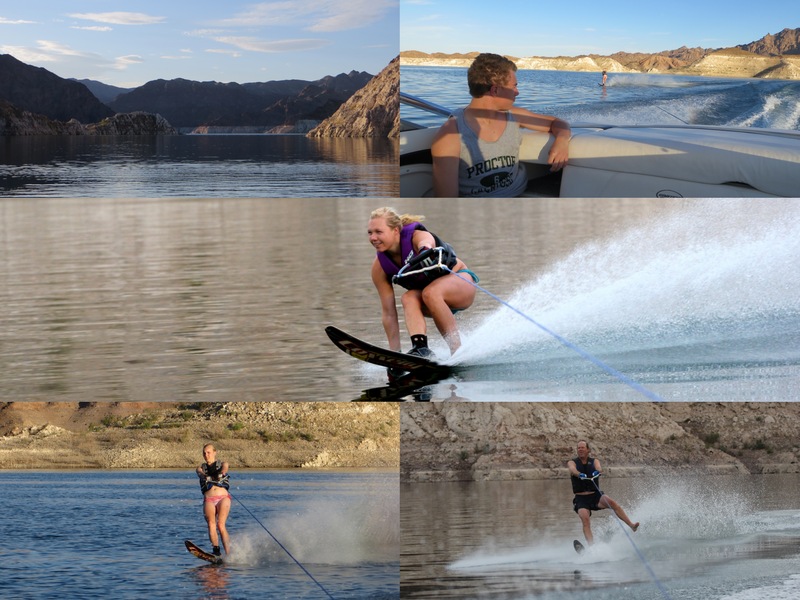 This entry was posted in Healthy Me, Summertime, Vacations and tagged family, Four Winns, houseboat, lake mead, waterski by Kaitlin. Bookmark the permalink. Wow looks like so much fun! I’ve always wanted to try water skiing.